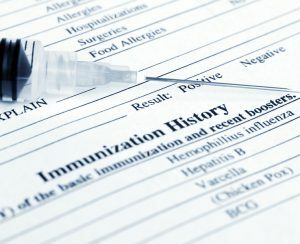 The Health Insurance Portability and Accountability Act (HIPAA), first signed into law in 1996, was created to benefit employees in between jobs with the improvement of “portability and accountability of health insurance coverage.” Prior to this act, there was no clear enforcement or guidance for the privacy of patient health records. The creation of HIPAA also lead to the inception of HITECH, which essentially standardized the use of electronic medical records by healthcare providers and insurers. Document shredding practices are crucial to any business that manage papers containing sensitive data, but the healthcare industry has some of the more stringent requirements when it comes to the regulation of retention and destruction. Though patient health records are mainly stored in digital format, there are still plenty of health practices that use paper charts when logging information from the patient or issuing signed release forms. When the retention period is up (typically 6-7 years), the documents require thorough destruction. Shredding these files is the universal method of destruction. 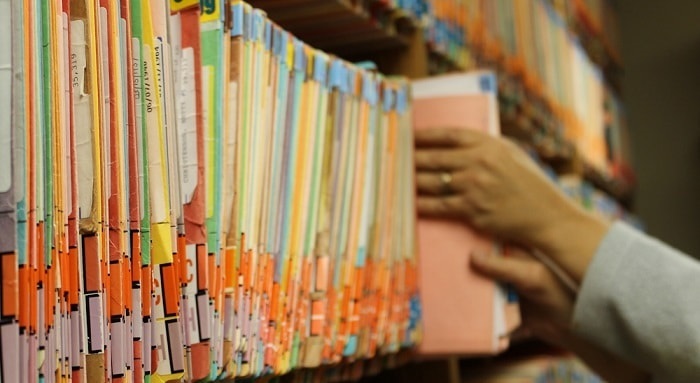 What are HIPAA’s document destruction requirements? HIPAA has outlined specific requirements when it comes to the proper disposal methods, which include shredding, burning, pulping, or pulverizing any paper records that contain protected health information to the point that the items are completely unreadable and indecipherable. What are the Consequences of HIPAA Violations? HIPAA violations come with big-time consequences. As the graph above shows, each violation is treated by individual cases, which can quickly stack up in fines for a poorly managed records system. 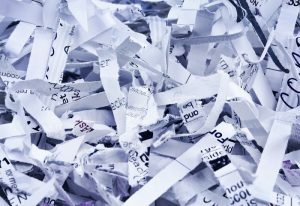 Document shredding services are the standard for healthcare industries when it comes to records destruction. Shredding professionals collect boxes of paper to be shredded directly on-site or at a secure, offsite facility. For document shredding done at your location, mobile shredding is the clear solution to handle these needs. Whether you prefer to witness the document destruction process for legal reasons or just personal reassurance, mobile shredding does just that. A shredding truck parks at your location’s parking lot and shreds boxes of paper instantly with the industrial shredder that is built into the vehicle. Hundreds of pounds of papers are turned into indecipherable confetti, later to be shipped for recycling. Document shredding can be performed offsite for healthcare practices that have higher volume shredding to do. Locked bins are kept in the building that employees can drop off papers that need to be shredded, whether there was a clerical error or it is past the required retention period. A scheduled truck will pick up these bins, transport them to a shredding facility, and securely shred all your documents. Both services offer a certificate of destruction that outlines the time, location, and witness (if applicable) to the destruction process. Shred Nations is the only marketplace for shredding customers to find the right shredding service provider near you. We work with local shredding providers all across the country to find you fast, reliable, and affordable shredding services tailored to your specific needs. To get your free, no-obligation quotes in just minutes, give us a call at (800) 747-3365 or fill out the form on the right.